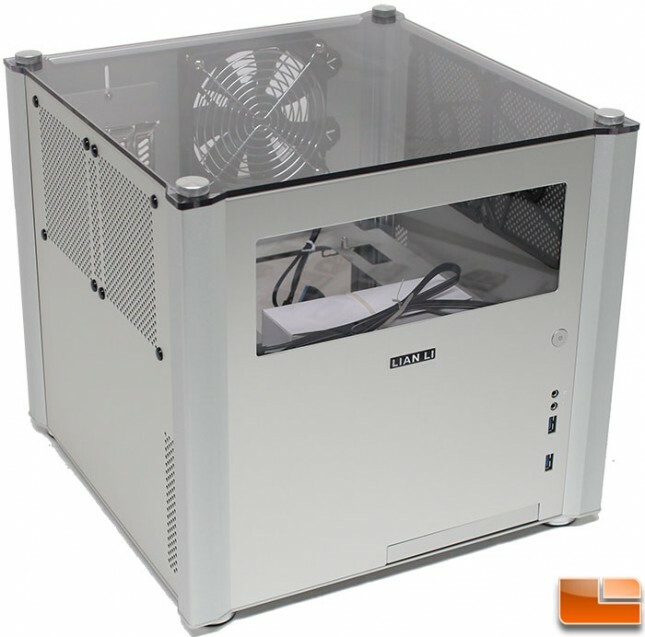 The Lian Li PC-V359 is a micro-ATX cube style case, utilizing a dual compartment design which separates the motherboard and graphics card from the power supply and hard drives. It is available in four models, Black (V359WX), Black and Red (V359WRX), Champagne/Gold (V359WG) and Silver (V359WA). While they should be available now, they are in limited supply so it can be difficult to track one down, if you are lucky to find one, expect to pay around $179.99 plus shipping and includes a 1 year warranty. With the PC-V359 you are getting a cube style chassis that supports Micro-ATX motherboards, video cards up to 320mm (12.6in) in length, three 3.5″ hard drives, one 2.5″ hard drive, and a slim optical device. For cooling, you get two 120mm fans, one exhaust and one intake. It can support two additional 120mm fans on either side panel, or you can install liquid cooling, a 120mm radiator is supported in the back or up to a 240mm radiator on either of the two sides. One of the issues involved in building a system inside a Micro-ATX case is the amount of space to work in. Lian Li has taken care of this, by allowing the top, side and front panels to be removed allowing for access to the interior from three sides (and the top) unobstructed. Technically, the back panel could be removed as well, there are just a few additional steps necessary to remove it. With the panels removed, we can also see that Lian Li has used the cube design to separate the components for better cooling. The overall dimensions of the PC-V359 is 13.4in x 12.6in x 13.4in (WxHxD), and is made out of aluminum. While steel is generally a stronger metal, the way this case is built, it should last many years without any issues. The added benefit of being made out of aluminum rather than steel is the difference in weight. The PC-V359 comes in just over 9lbs! I’ve had similar cases made out of steel that come in around 13lbs, and while 4lbs doesn’t seem like much if you take a system to lan parties regularly, any weight you can cut out is usually welcomed. The PC-V359 features a two compartment design. 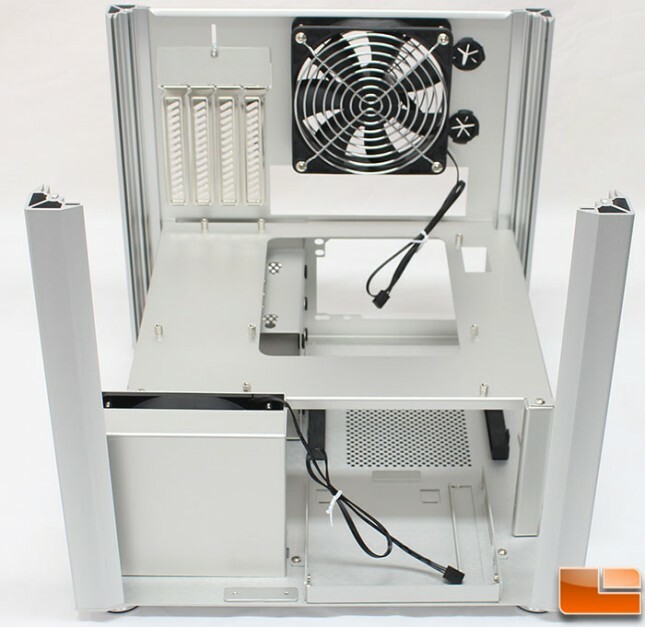 The top section holds the Micro-ATX motherboard, graphics card, while the bottom compartment holds the HDD cage and the PSU, Slim ODD. Side or front panel can be easy to remove, more space to change hardware, no longer constrained in a narrow space inside the case. The PC-V359 is designed to support the majority available integrated water coolers, up to 240mm. Before taking a close look at Lian Li’s PC-V359 Micro-ATX case, let’s check out the packaging and accessories.